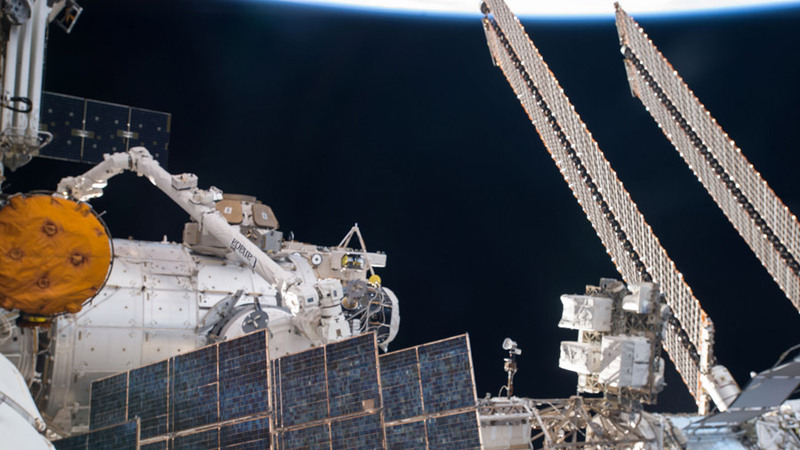 The Bigelow Expandable Activity Module (BEAM) was installed to the International Space Station on April 16, 2016 using the Canadarm2 robotic arm. NASA and Bigelow Aerospace are continuing to evaluate why the Bigelow Expandable Activity Module (BEAM) did not fully expand today as planned and will not attempt to complete the module’s expansion on Friday. Engineering teams will monitor the module overnight for structural changes that could result in either larger volume or lower internal pressure before meeting on Friday morning to discuss options moving forward. Ground teams will look for any changes in the module’s shape following the conclusion of Thursday’s operations and the station crew will take additional pressure readings. Crew members aboard the International Space Station are safe, and both BEAM and the space station are in a stable configuration. During about two hours of expansion, BEAM’s length and diameter did not increase as expected with the increased internal pressure, and teams decided to stand down from operations for the day. NASA and Bigelow Aerospace will host a media teleconference Friday, May 27 at 12 p.m. EDT to discuss BEAM. To participate in the teleconference, media must contact Cheryl Warner at cheryl.m.warner@nasa.gov or Tabatha Thompson at tabatha.t.thompson@nasa.gov or call 202-358-1100. The teleconference will stream live at www.nasa.gov/newsaudio. BEAM is a technology demonstration from which we will learn more about how these types of habitats will perform in a microgravity environment. Hi I was just wondering if the extreme external temperature changes due to many sunsets has an effect on internal beam module pressures. I would think the expansion operation would work better when exposed to the sun cycle. Keep up the good work NASA and BIGELOW!!! I am not a scientist but found this in Scientific American from 2012. Seems to me some of the information may apply to BEAM. Good Luck hope an answer is found soon. Duct Tape?